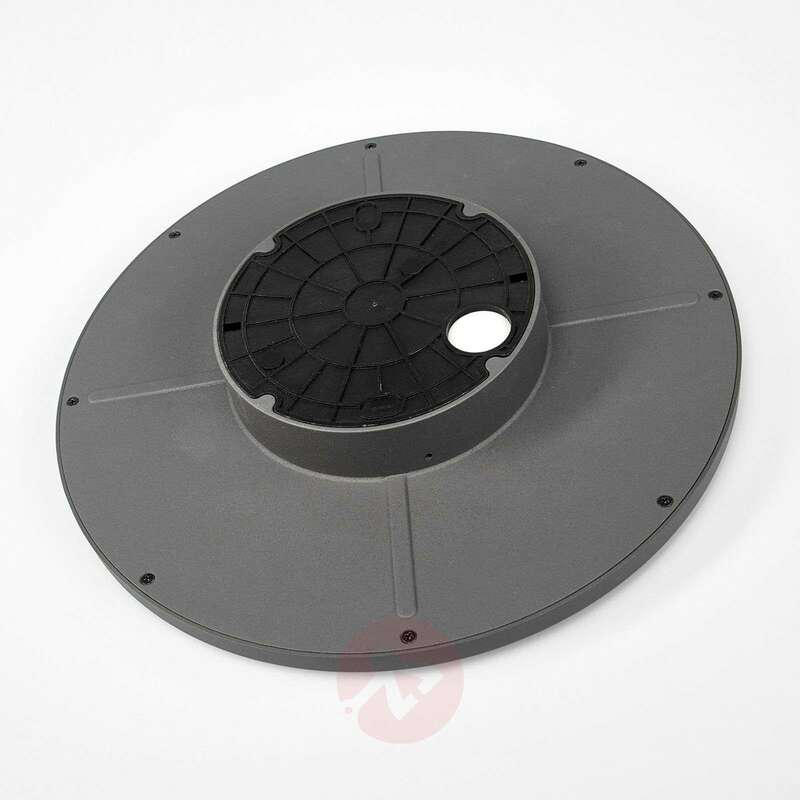 The outdoor light Benton is made of lightweight aluminium in graphite grey colour. 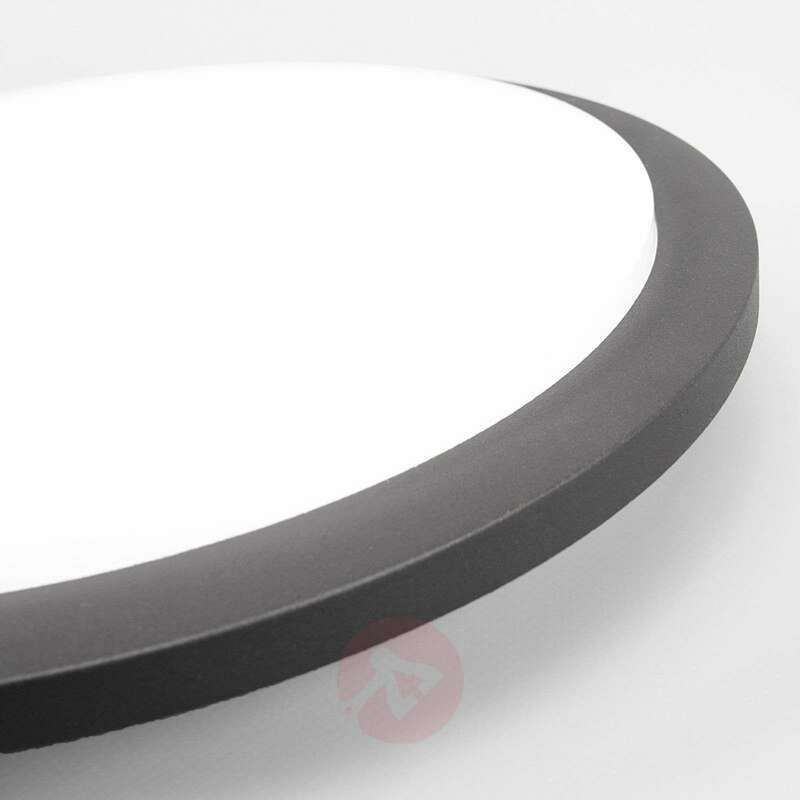 The round cover of the wall light is made of white plastic and is used not only as a protective cover, but also as a diffuser for the warm white light that is emitted by the LED outdoor light Benton. 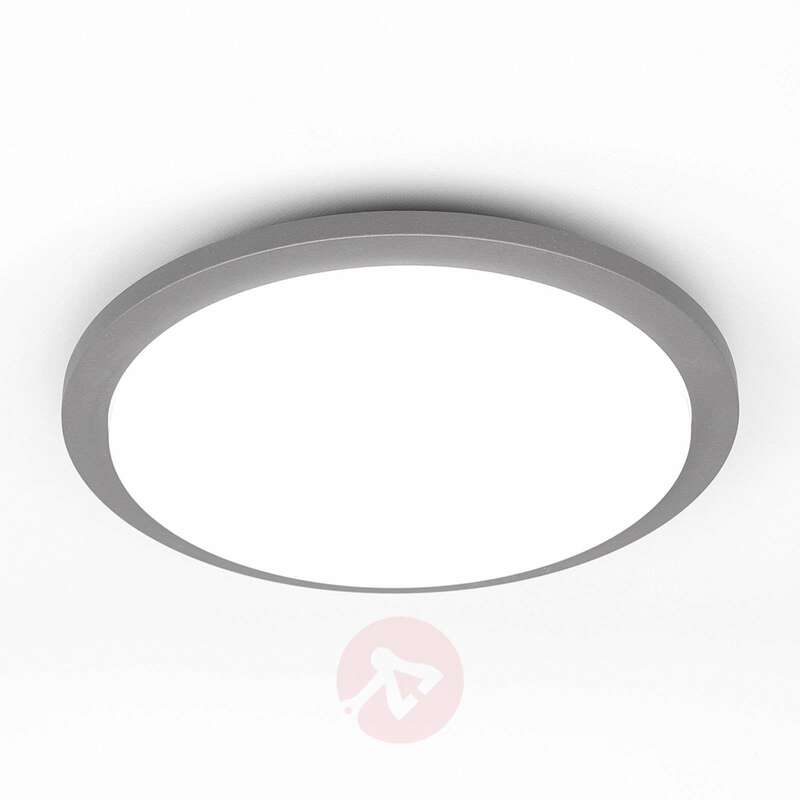 This simple LED ceiling light with IP54 rating is ideal for use in the outdoor area and can be mounted as a wall light. 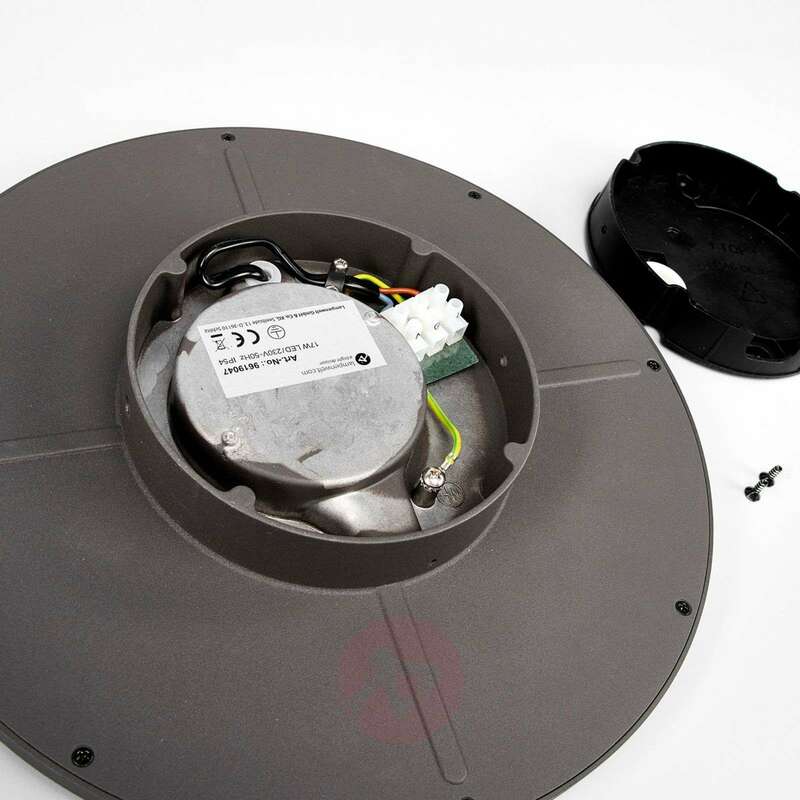 A motion detector is integrated in the lamp. 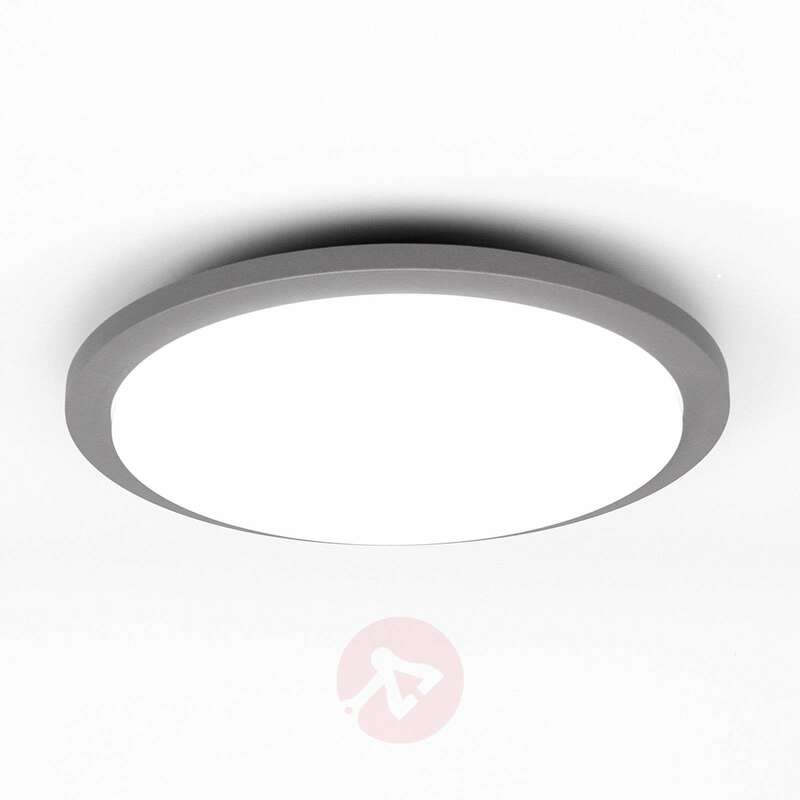 - When installed as a ceiling light at a height of 2.5 to 6 metres: Detection angle 360°, range 4 to 6 metres. Fitted light successfully today and very pleased. One question, it isn’t obvious which orientation to position light? Not sure where the motion sensors were, so going to assume it must be 360 degree range and doesn’t matter? We are delighted to hear that you are satisfied with the product. 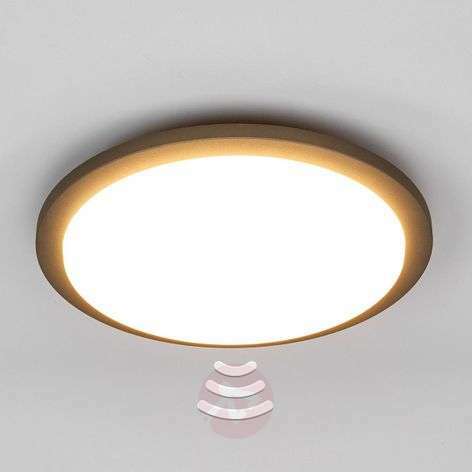 Kindly note that when the light is installed on a ceiling height of 2.5 to 6 meters it will have a detection angle of 360° and a range of 4 to 6 meters. 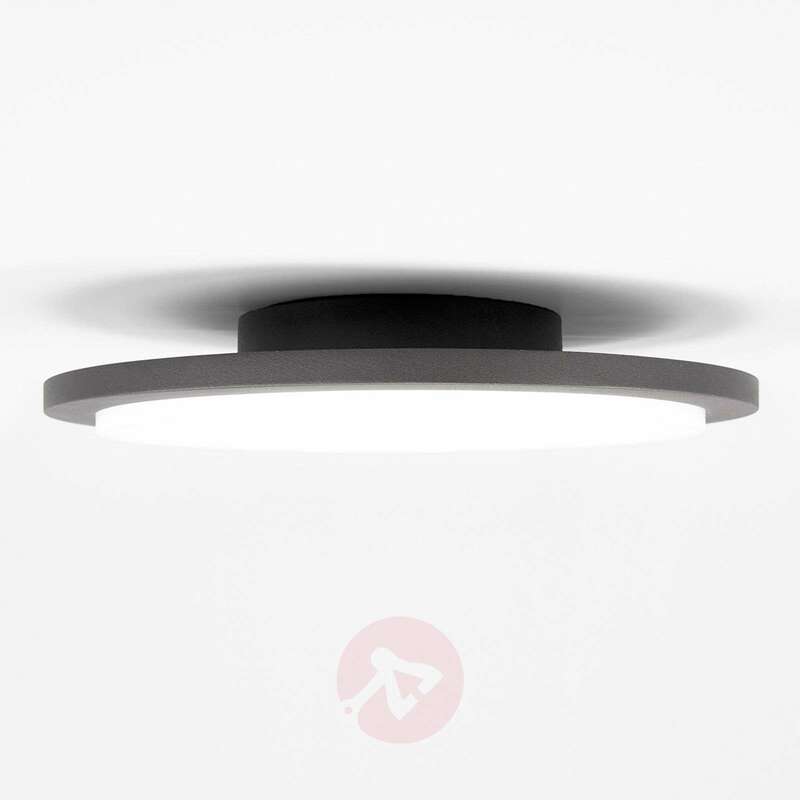 When installed as a wall light at a maximum height of 3 meters it will have a detection angle of 150° and a range of 4 to 5 meters. 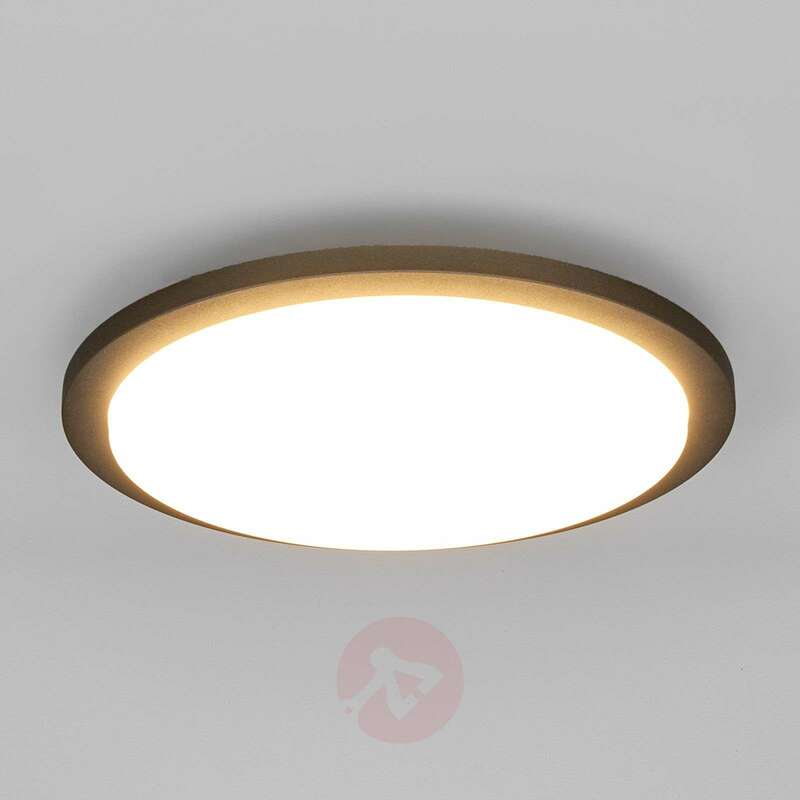 because of the design and shape of the light it can be difficult to connect electrically.